As our world becomes more busy and full of distractions, it becomes more challenging to keep the family together. One way we can preserve families is to pray for one another. You can have a family's special intentions remembered in a Holy Mass at the National Shrine of The Divine Mercy. 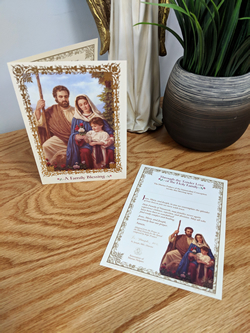 Send one of these personalized Family Blessings to display as a reminder that prayer is always nearby.